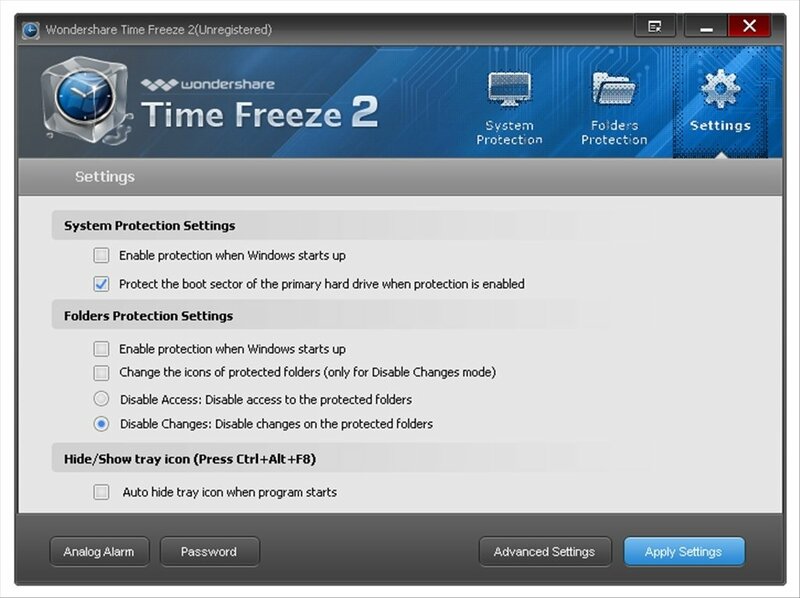 Wondeshare Time Freeze is a PC freezing application, so to keep it protected against malware or unwanted changes. 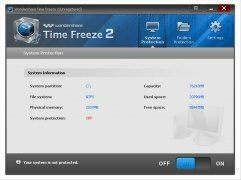 To start using this mode you won't even need to reboot your computer: a couple of clicks will be enough to enter a virtual system where the changes will have no effect. The best program to try new software or to test different configurations. Avoid malicious attacks that could damage your computer or unwanted status changes. MBR protection that will guarantee that the PC boots normally. 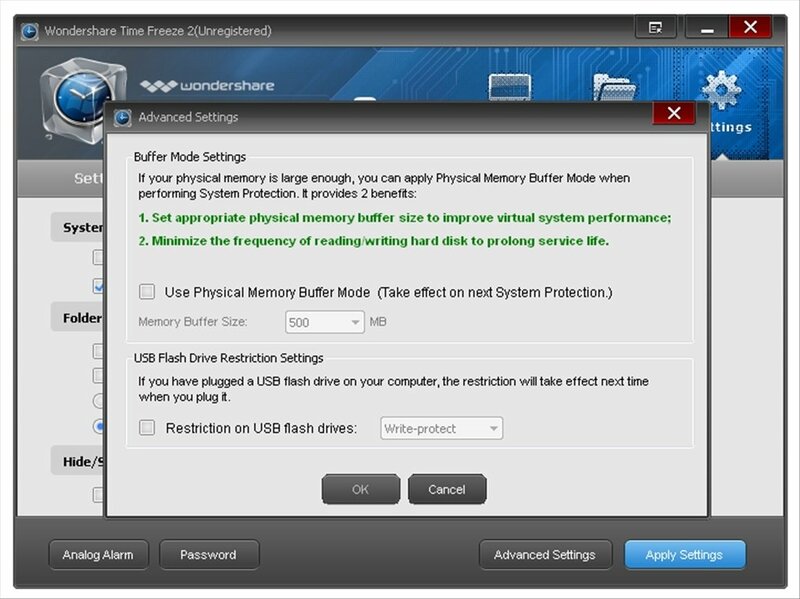 Includes physical memory buffer mode: use it if you have a lot of spare memory to assign it effectively to the virtual system and to improve the reading and writing frequency on the hard drive, making the workload lighter and lengthening its lifespan. Avoid external drives being launched. Save or discard the changes to the virtual system. 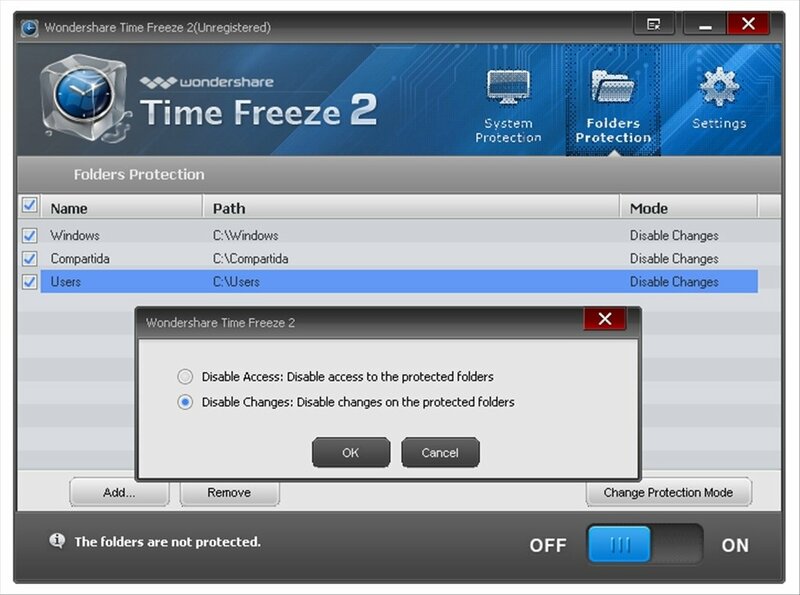 Offers two different protection modes for folders. Blocks the system being fiddled with by means of a password, avoiding less experienced users from modifying the system. 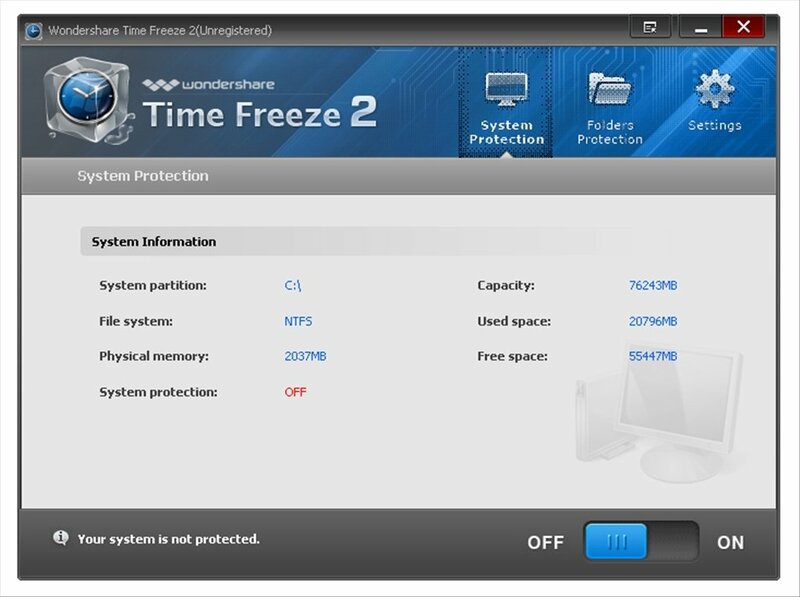 This innovating computer restoration system acts mainly by freezing the current status of a computer and offering a virtual partition where it will be possible to view the changes applied without affecting the original PC. Thus it will be possible to try out new programs without your computer and its contents being jeopardised. Do you need to test something on your PC but you're afraid that it may have negative effects on how it works? 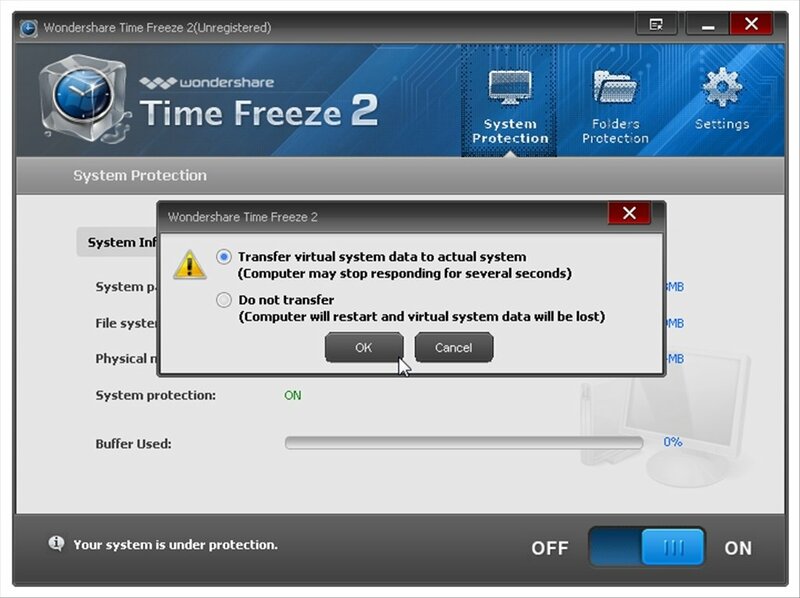 Download Wondershare Time Freeze, create a virtual system and carry out all sorts of tests without worrying about the consequences they may have.